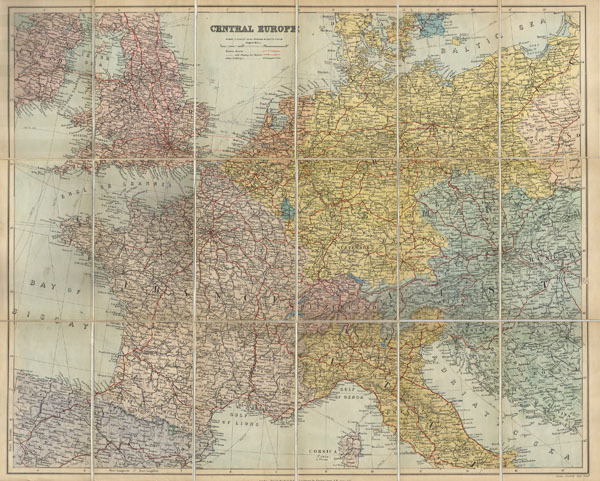 This is a fascinating 1895 map depicts Europe from England to the Balkans, from NW Spain to the Baltic Sea. Presented in pocket format with 18 panels mounted on linen. Part of the Stanford collection of library maps. Fine or perfect condition. Clean margins. Eighteen panels backed on original linen. Blank on verso.